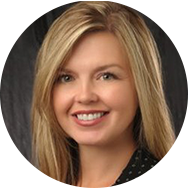 Reagan is the Amarillo EDC's Vice President of Marketing & Communications. Before joining our ranks, she managed multi-million dollar public/private research projects at Texas Tech University and oversaw a $25M operating budget for the Texas Tech University Health Sciences Center School of Pharmacy. Her experience ranges from middle market fixed income sales at Merrill Lynch to non-profit development at the American Heart Association in Metro Atlanta. Reagan received her degree in finance from the University of Texas and is a member of the Startup Champions Network.